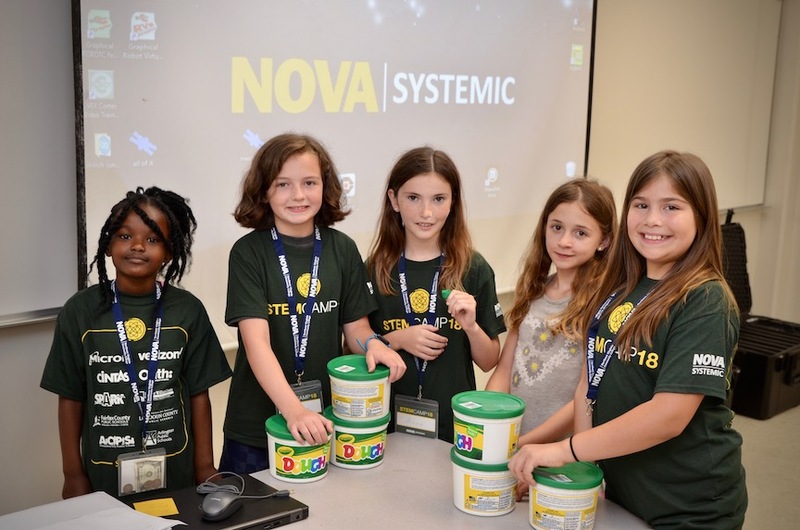 Registration for summer camps will open on January 17, 2019. If you have any questions that aren’t please email systemic@nvcc.edu or call us at 703.530.3505. 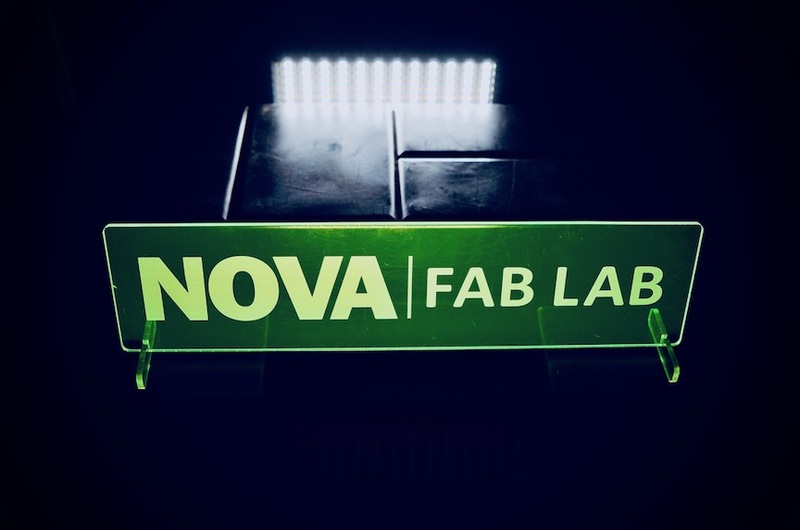 NOVA SySTEMIC is offering opportunities for students to learn new ideas, solve problems and explore various technological fields of study. 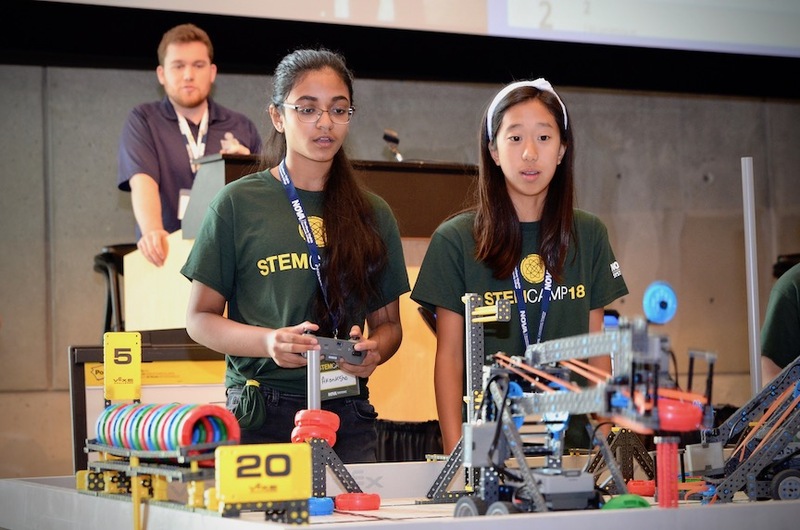 These experiences are designed to build interest, knowledge, and technical skills the students can take with them into the classroom and beyond. 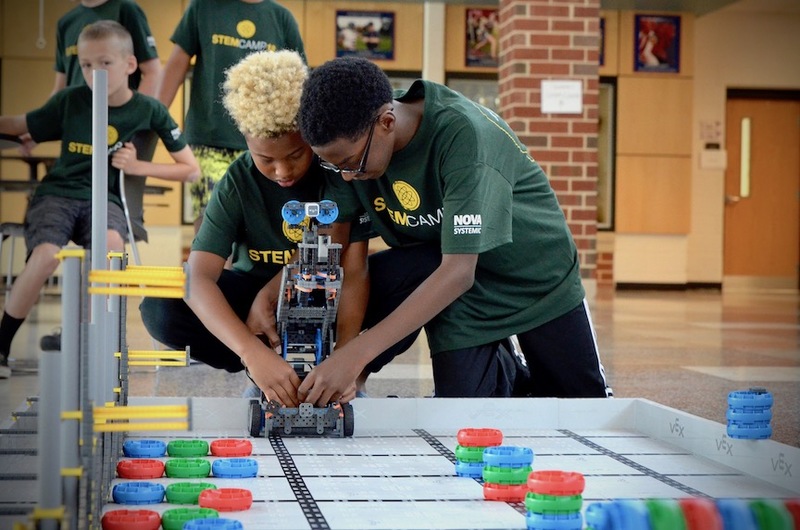 Register for 2019 STEM Camps! 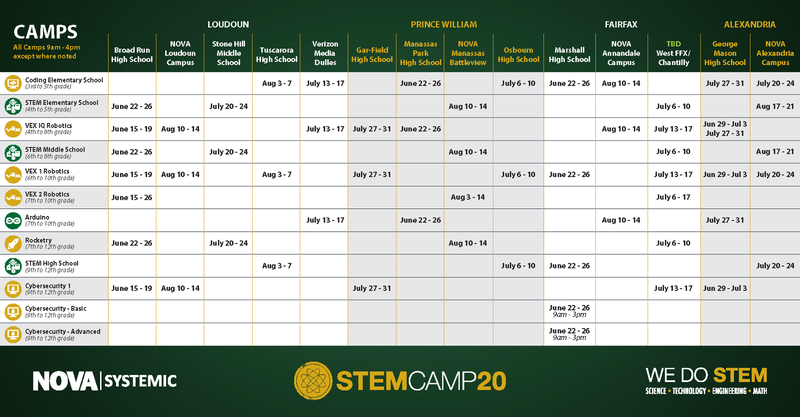 Camps are offered in a variety of locations in Fairfax, Loudoun and Prince William counties and Alexandria. Childcare available 7:45 a.m. - 9:00 a.m. and 4:00 p.m. - 5:30 p.m. Discounts are available if you sign up for multiple camps and/or if you sign up multiple children. 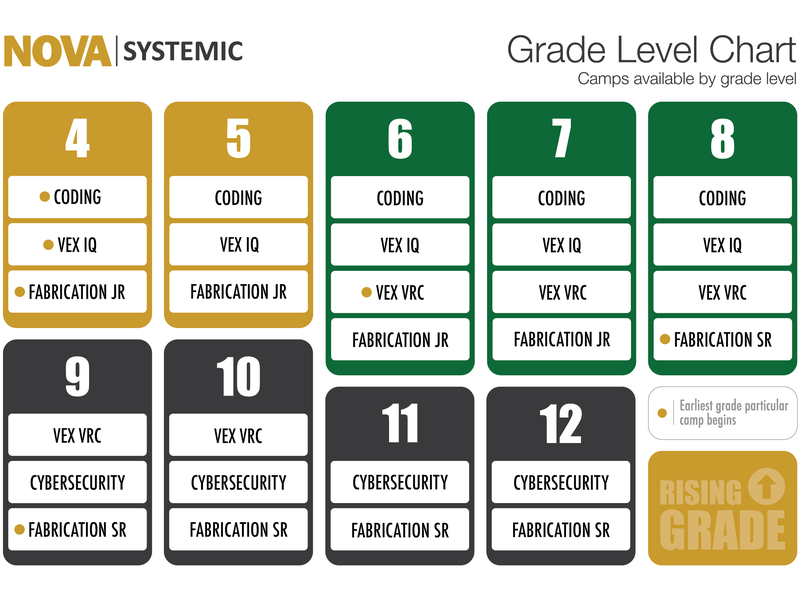 This Grade Level Chart will help you find a camp suitable for your child. 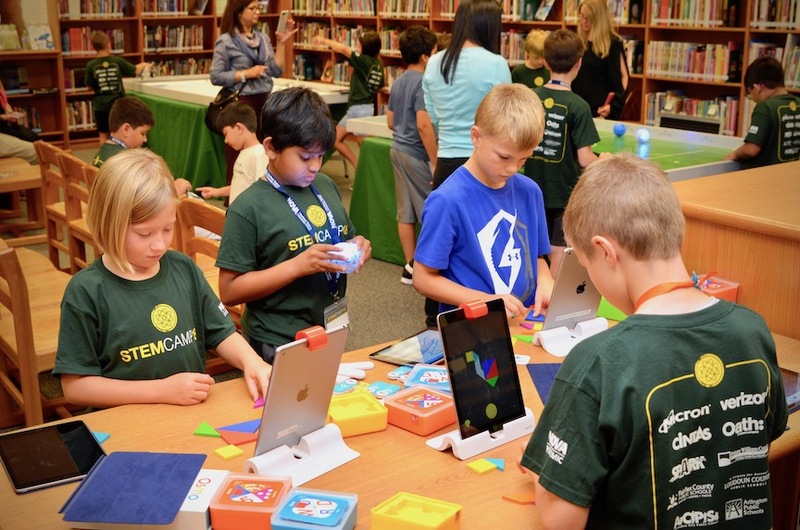 In this one-week camp participants will work with iPads to engage in a variety of coding projects that include using OSMO, SPHERO and LEGO EV3. Each day students will participate in a challenge with each technology. Participants will have planned breaks each day for extensions and practice time. LEGO EV3 – Build and program, Maze Challenge, Sumobot & Catapult Challenges. Showcase: Friday 2:30 p.m., students will have the opportunity to show parents each technology and the different projects they completed. 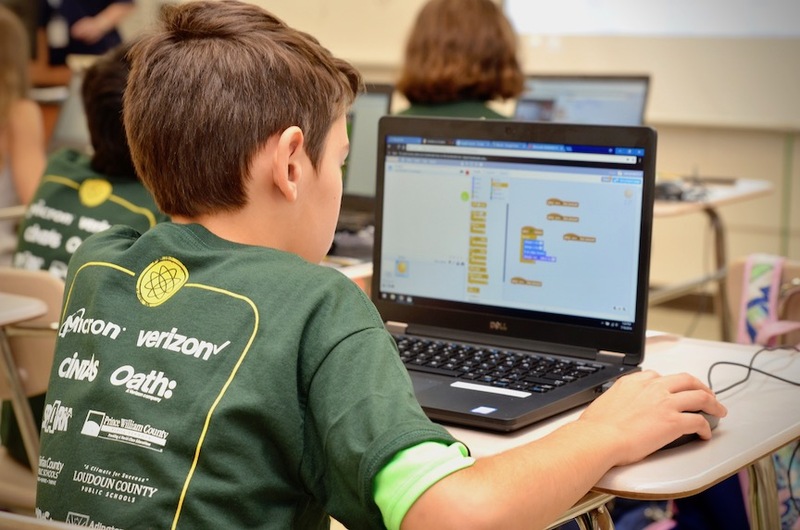 Students will explore coding, computer aided design (CAD), and play math games. Each day students will spend about 2 hours on each activity. Participants will have planned breaks each day for extensions and practice time. A one-week camp. 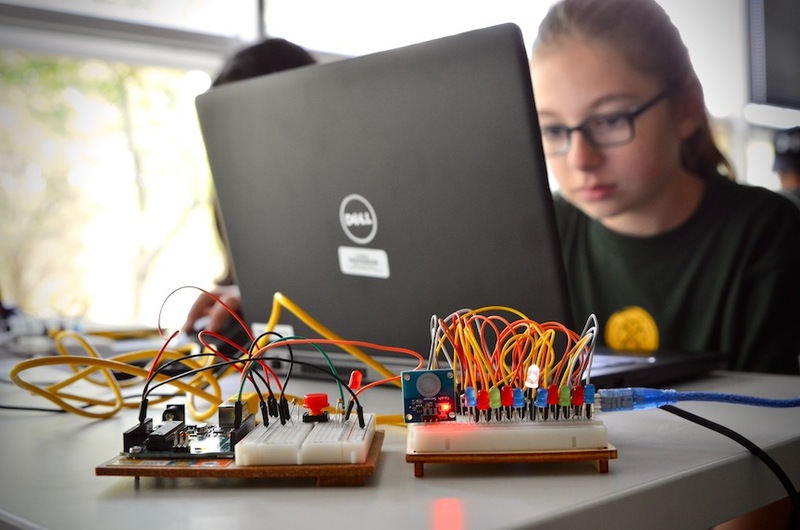 In this week-long camp students will learn how to code, create circuits and projects using an Arduino, Raspberry Pi and a Virtual World. 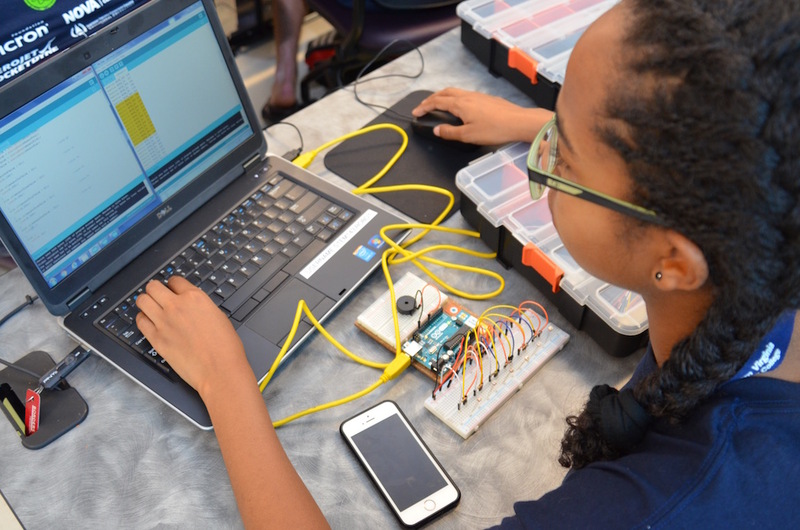 Participants will solve challenges using a virtual robot and program in RobotC and make simple circuits using Arduino or Raspberry Pi boards. In addition, students will be able to use their logical thinking skills to solve some problem-based activities. Program a robot in a virtual World: Variables & Functions. Build and code an alarm with LEDs and sound. Build a small computer with a Raspberry Pi. 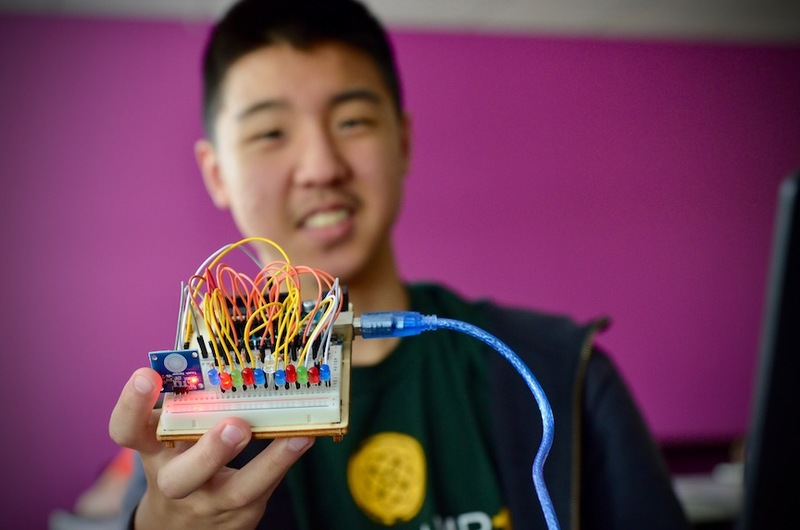 Showcase: Friday 2:00 pm, students demonstrate the Arduino and Raspberry Pi projects and their virtual robot. 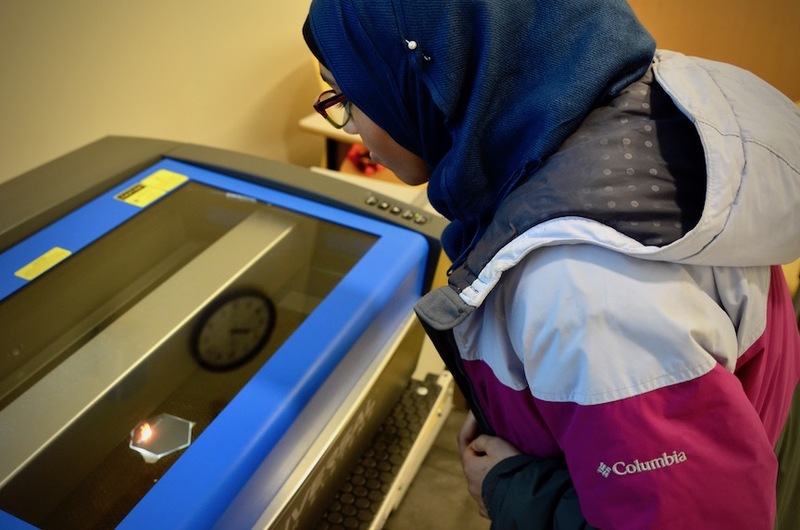 For high school students that are interested in creating or making using 3D printing, electronics, plastics, laser engraving. 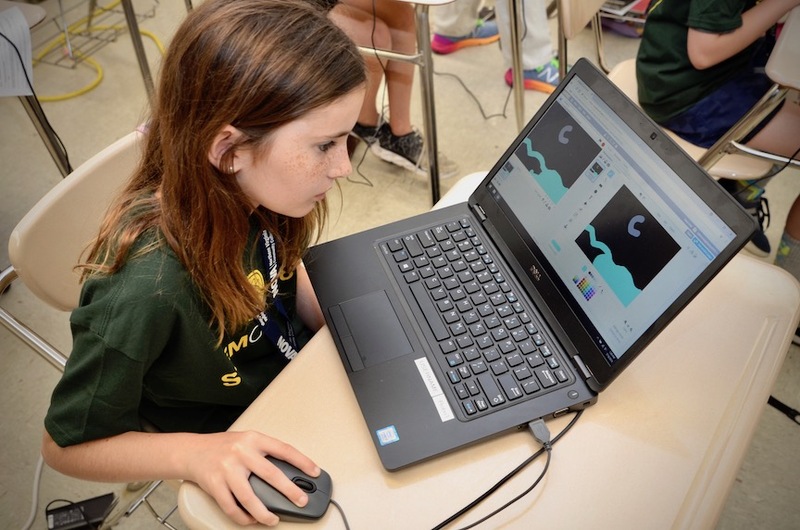 Students will learn how to use Adobe Illustrator and Autodesk Inventor to create high tech crafts and projects. A one-week course. Design and print a custom sticker. 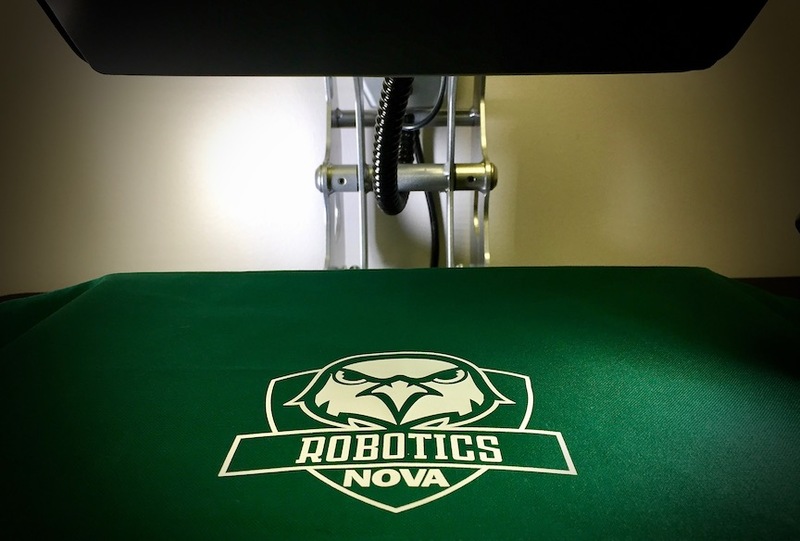 Develop a logo and 3D-Print or engrave it. Format: Individual projects with group interactions. Showcase: Friday 3:00 p.m. for parents to see what students have learned. 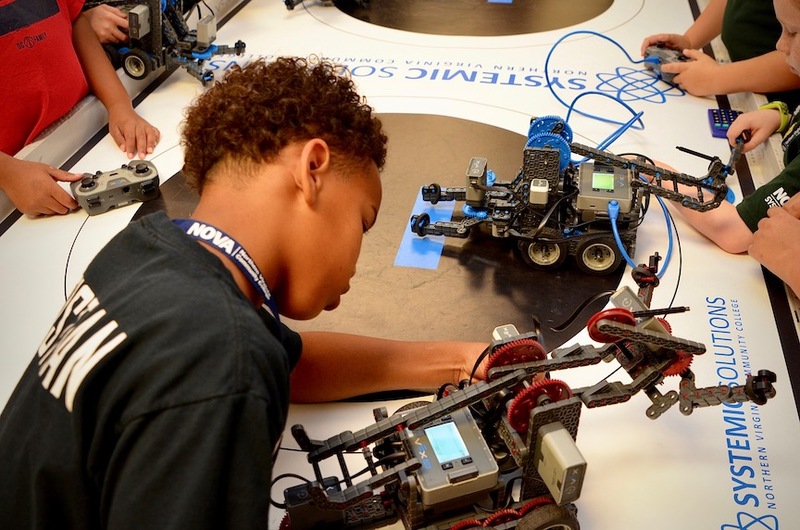 Students will build a VEX IQ Robot in pairs in this one-week camp. 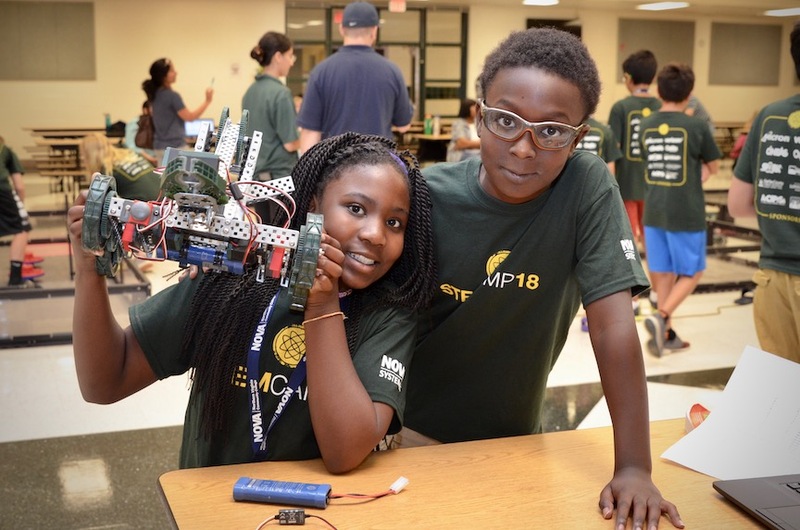 They will compete in a maze challenge and with a modified version of the yearly VEX IQ Challenge game. 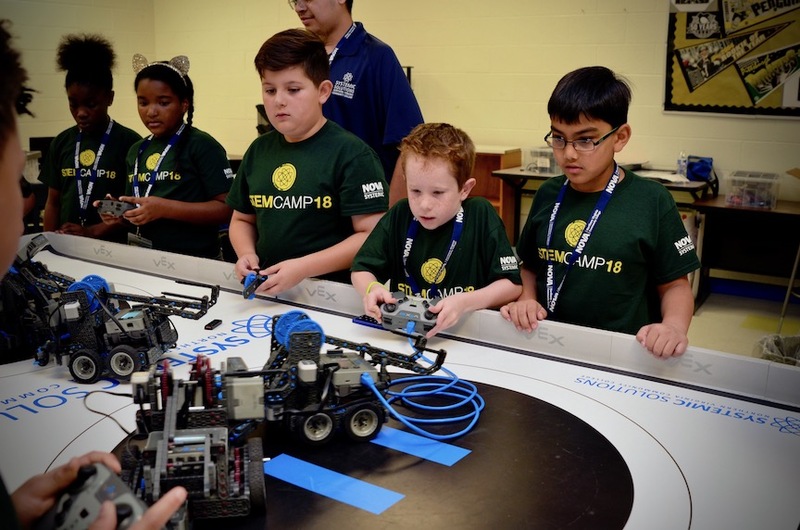 Students will learn to program the robot in robotC to operate autonomously with sensors and they will drive as a team while competing against other campers. Showcase: Friday 9:30 to 11:00 a.m., students demonstrate solving the maze and have a small camp competition. Parents then return to pick up students at 4:00 p.m. 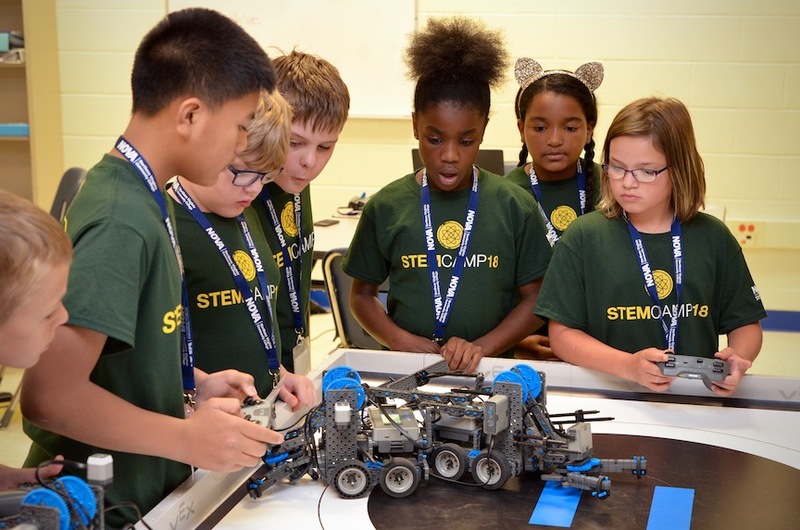 In this one-week camp, participants will build STRETCH, a VEX IQ robot, in pairs to compete in Ringmaster. 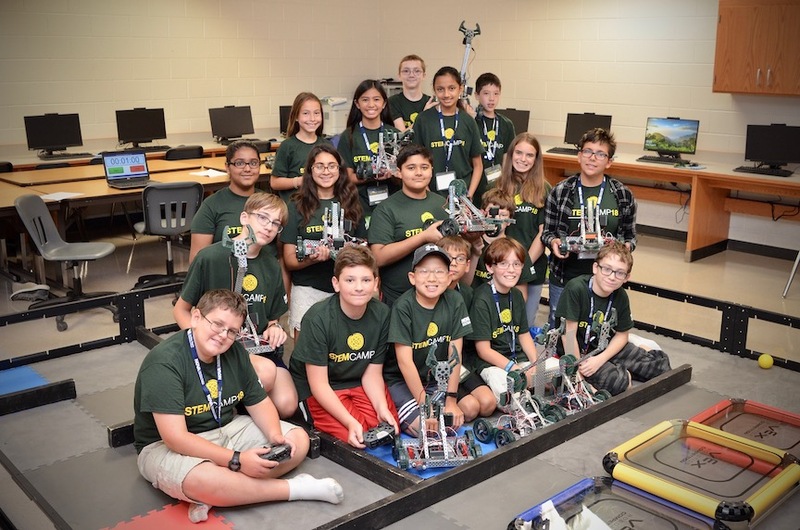 Students will learn how to compete in the VEX IQ yearly challenge, make an engineering notebook to document team decisions on robot design, develop a game strategy and create an autonomous program to play the game. 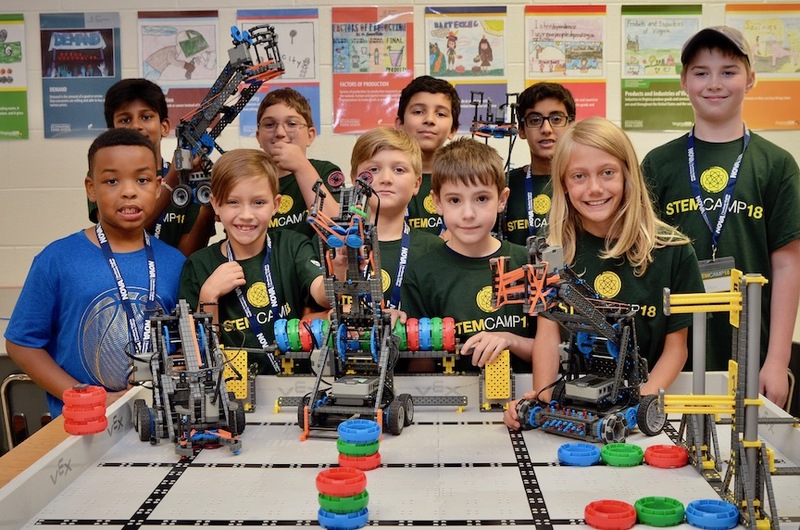 This camp is perfect for students who want to compete in the VEX IQ Challenge. Build and Program a VEX IQ robot. Develop a strategic approach to a game or challenge. Learn to document modifications to code and a base robot. Showcase: Friday 9:30 to 11:30 a.m, students demonstrate solving the maze and have a small camp competition. Parents then return to pick up students at 4:00 p.m. 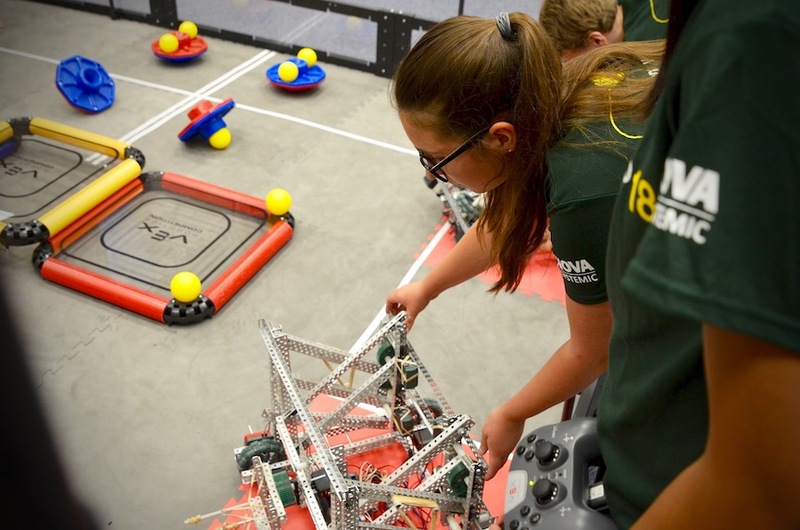 Introduces students to the VEX Robotics Design System where students will build and program a robot to solve a challenge on a 12’ x 12’ field. 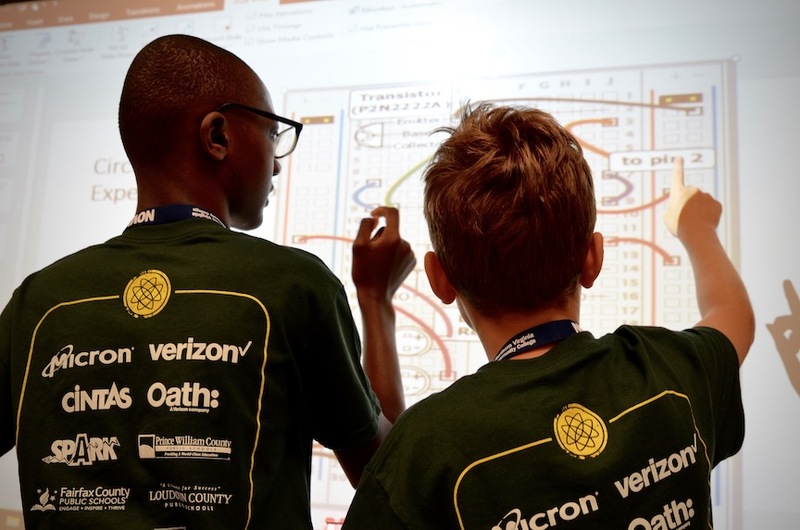 The challenge includes solving a maze autonomously and integrates part of the game from the yearly VEX Robotics Competition. In 2019 we intend on using the newer V5 system. We pair older students together. This is a one-week camp. Build and Code a V5 or Cortex based robot. Solving a Maze: Integrate Sensor feedback into your code. Team Competition at end of the camp. Format: Pairs, competing against other camp teams. Showcase: Friday 9:30 am to 11:30 a.m., students demonstrate the maze challenge and compete against other teams. 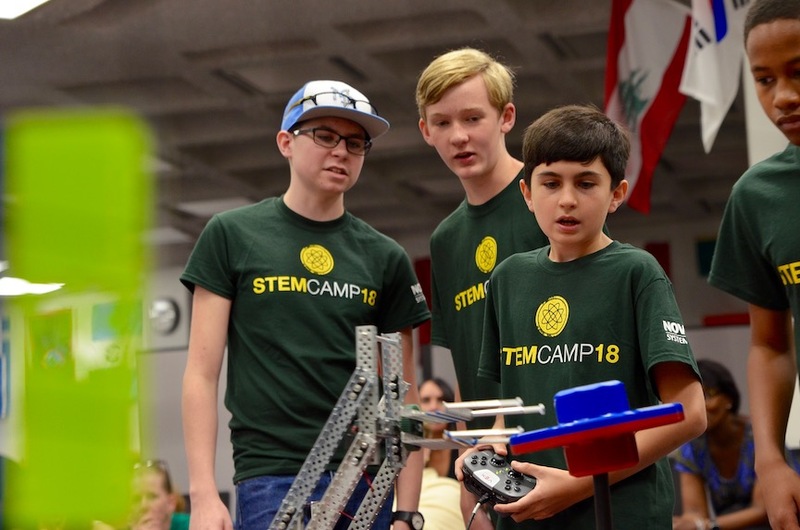 Parents then return to pick up students at 4:00 p.m.
*Prerequisite: Completed VEX 1 Robotics Camp or Equivalent Experience on a team. 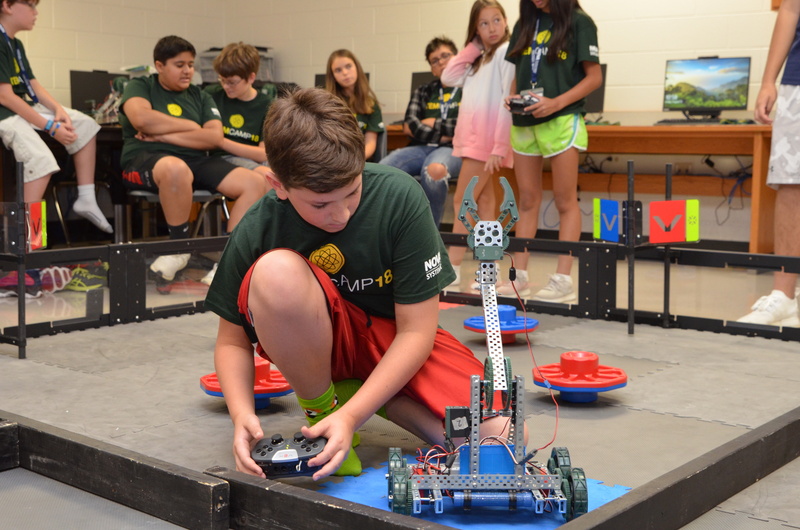 In this two-week long camp rising 7th through 10th grade students will work in groups of 2 - 4 to design, build, and program a VEX robot to compete in the current VEX Robotics Competition. We intend on using the V5 system. 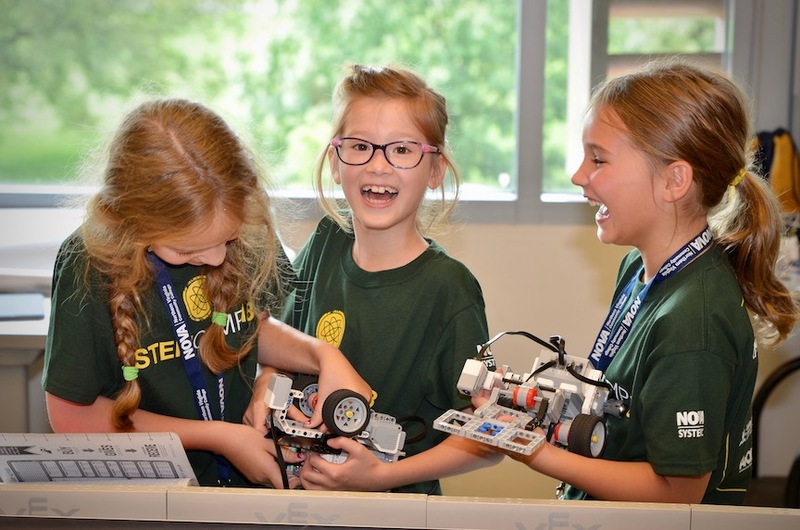 Students will focus on learning new skills in approaching the strategic design, build and programming of a robot. Additionally, teams will focus on the documentation of the design process. 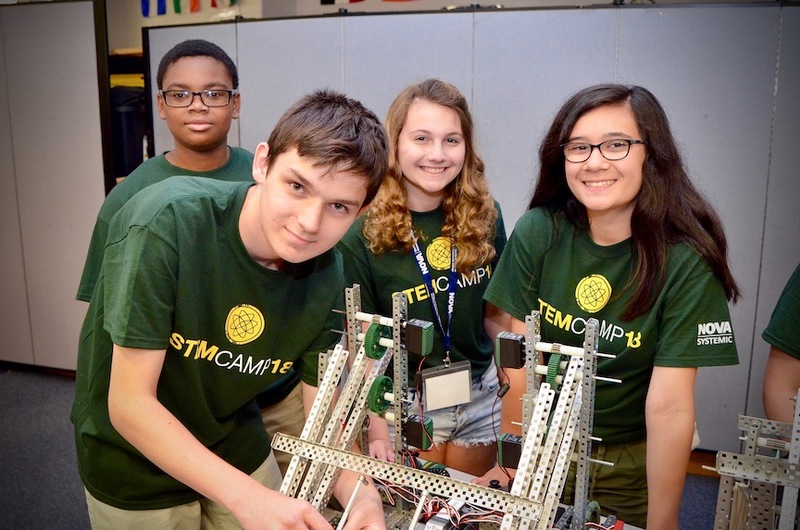 This camp is ideal for students who have 1-2 years of experience with VEX. Format: Students work in groups of 2-4 students, complete challenges and compete against other teams. Showcase: Friday 9:00 to 11:30 am, students will complete a small camp competition. Parents then return to pick up students at 4:00 p.m. 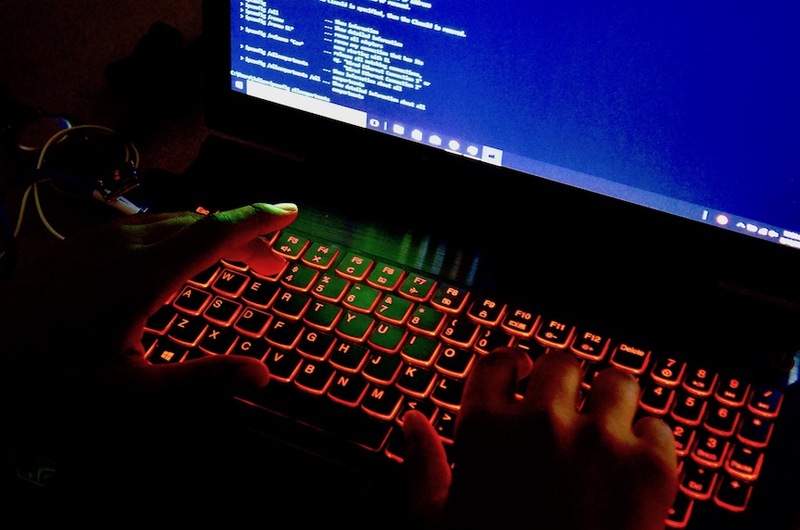 This one-week course is for high school students that are interested in furthering their knowledge of human security, computer hacking, digital safeguarding of applications, secure communication, and learning more about everyday use mobile devices. The main focus will be on arming the student with safe and secure ways of learning computers, major and minor applications, and understanding of legal consequences. Perform security self-assessments and Inventory assets. Secure computer and mobile applications safely. Develop an understanding of software virtualization. Showcase: Friday 3 pm for parents to see what students have learned. Requirement: Students must bring their own laptop with the minimum specifications: an i5 or comparable AMD processor (NO Macs/Apple based laptops), 6 GB of RAM and 20 GB free hard drive space available. 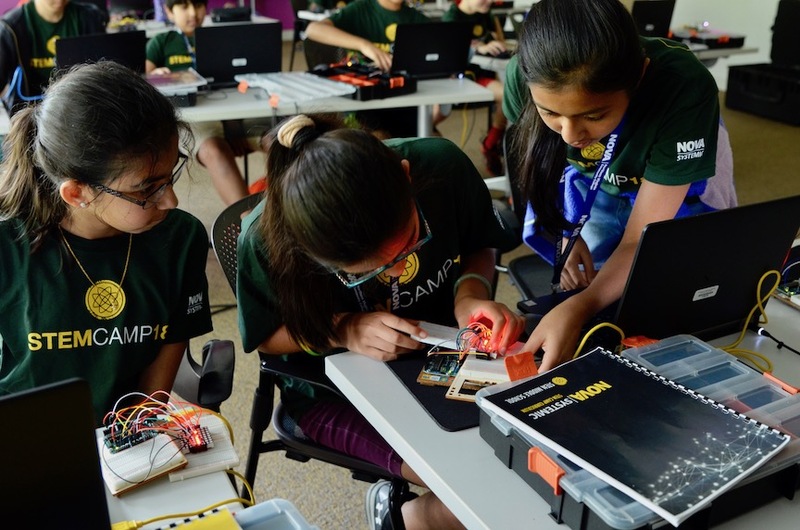 Basic camp: Introduces students to the world of cybersecurity. 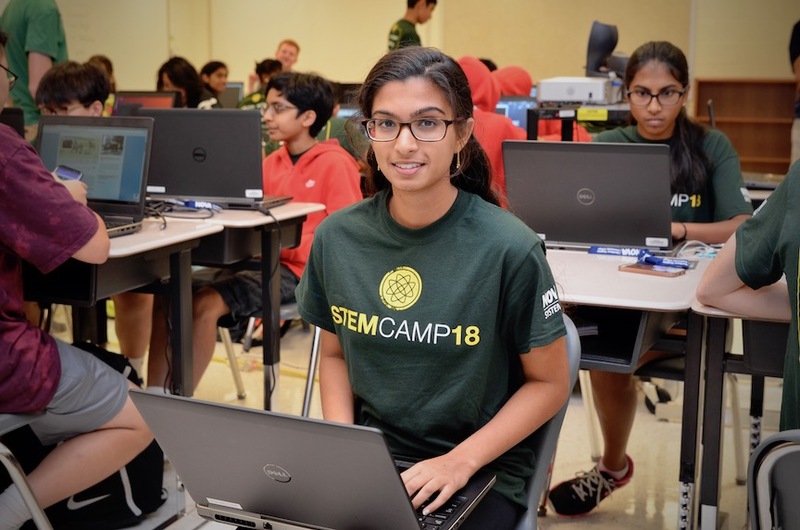 This camp is designed to provide students with knowledge and hands-on experience in cybersecurity and introduce them to the many career opportunities in the growing field. 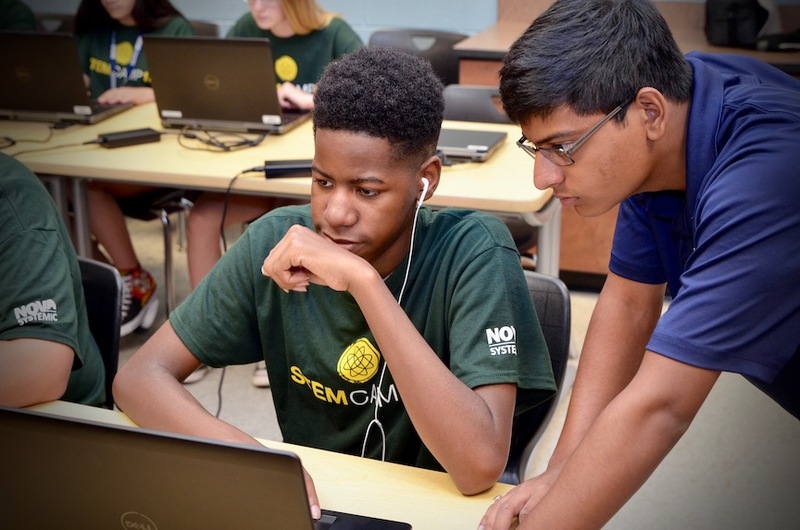 The camp will increase students’ knowledge of networking and computer security including defense strategies, all through tutorials, hands-on activities and will culminate with a mock competition at the end of the week. 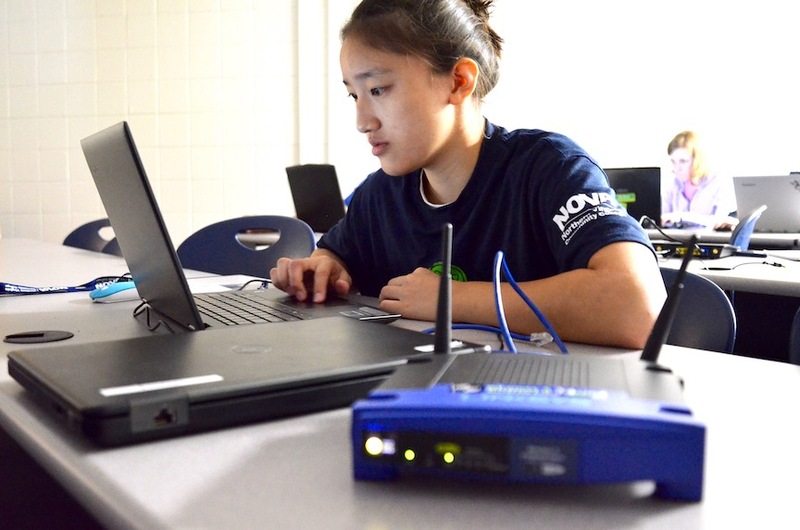 Advanced camp: A fast-paced advanced camp in Cybersecurity. 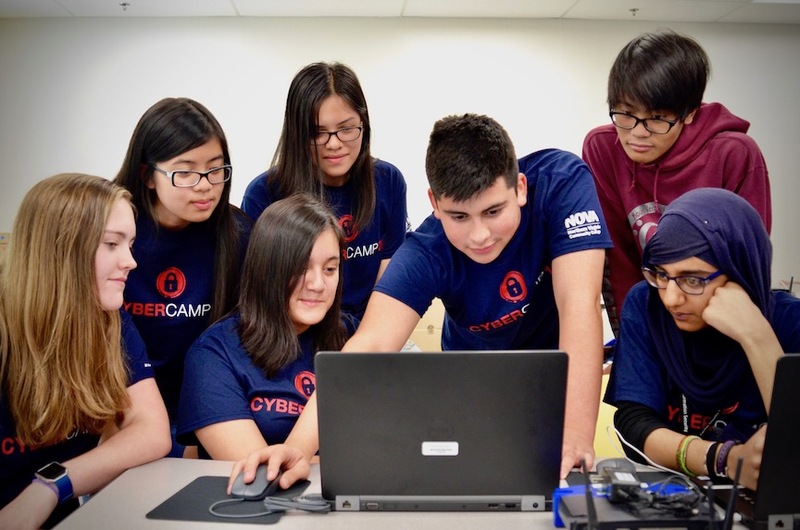 This camp is designed to provide students with knowledge in topics such as defensive and offensive strategies, practices and tools, advanced networking concepts, virtual and cloud security, malware, as well as internet-of-things security. 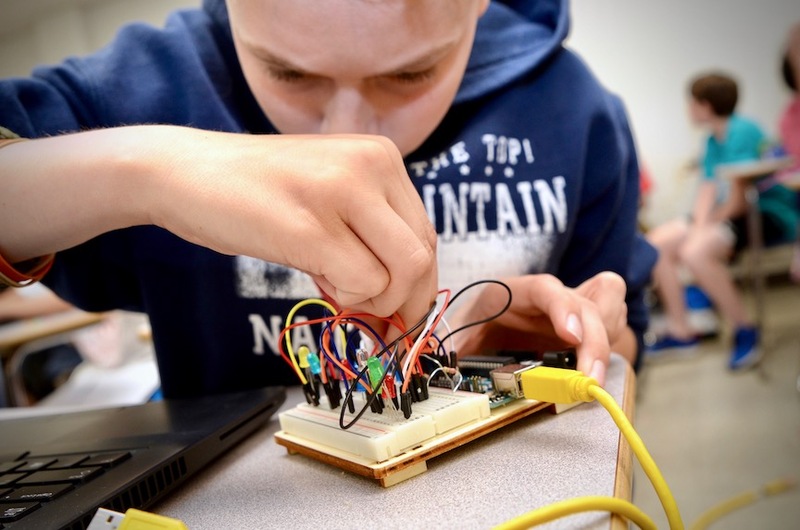 Students will work with electronics to create projects using software engineering and the Arduino microcontroller. 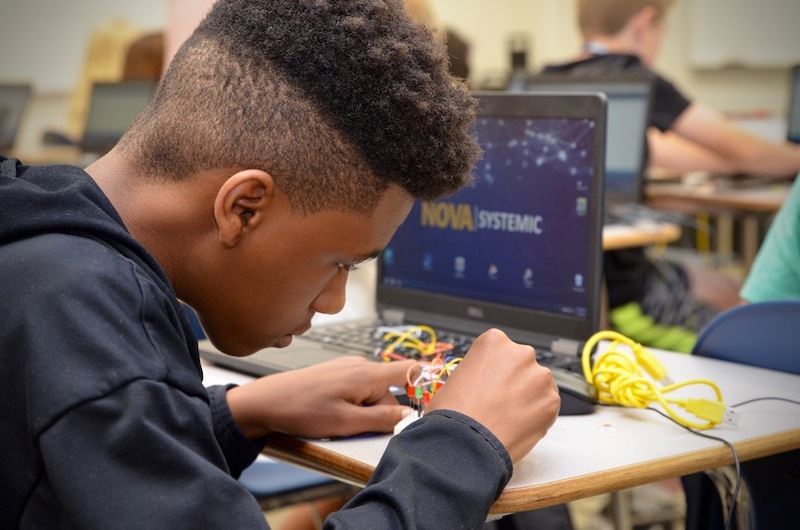 Participants will learn how to integrate and control electronics such as LEDs, motors and sensors to complete projects and challenges. A variety of coding structure will be taught to control and refine the function of each project. No previous experience required. This is a one-week camp. Build and program a custom display with a custom message. Wire and control LEDs to turn on and off in a pattern. Wire and control a motor/servo with a sensor. 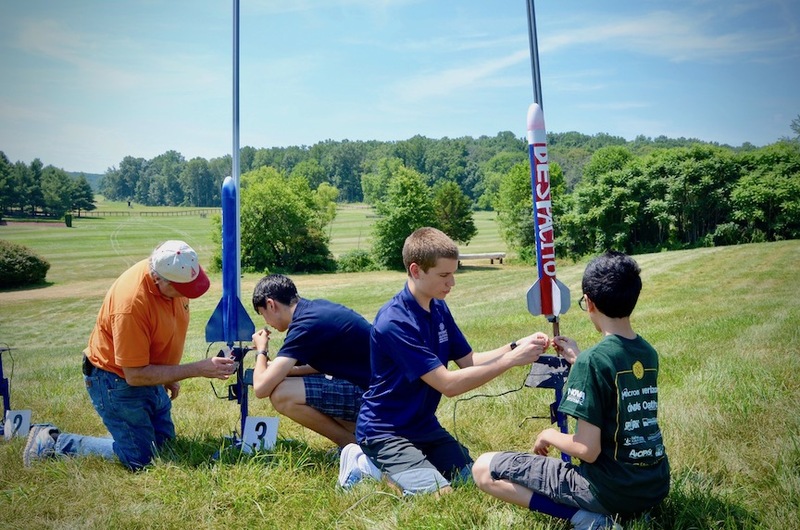 Introduces students to rocketry. 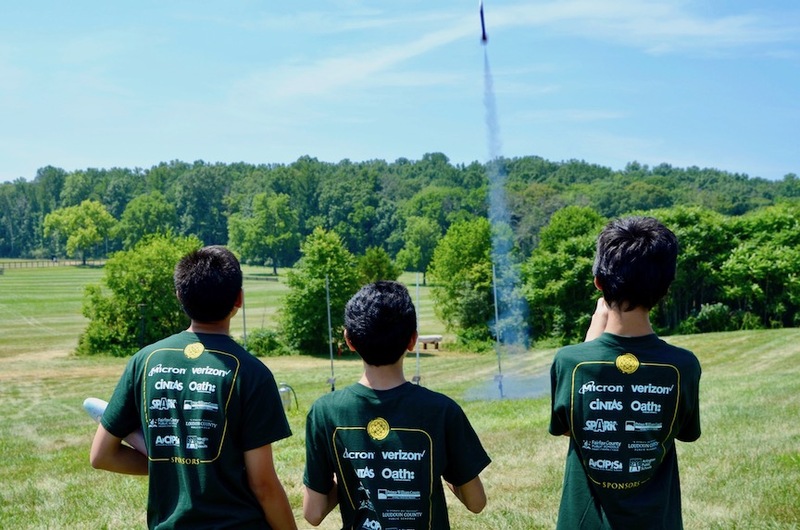 During the camp students will build rockets to complete challenges and simulate flight. These activities teach the basics of rocketry, the science behind how they work, and rocketry safety. 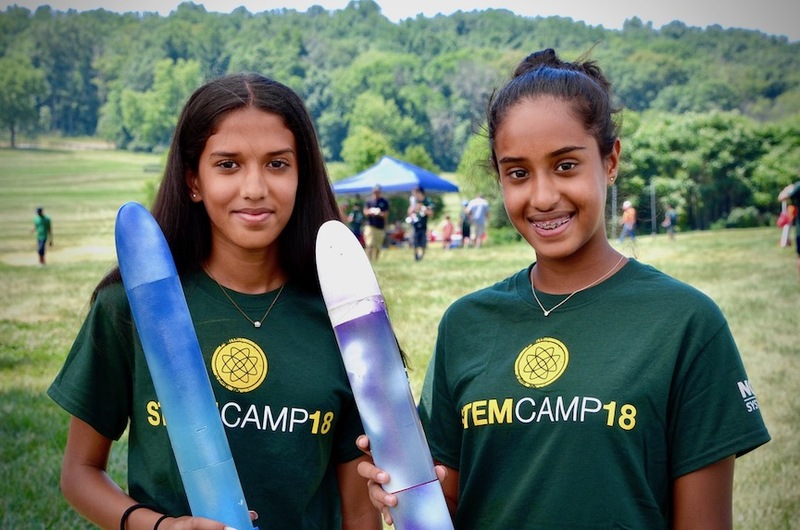 The students will have a field trip on the last day of camp to a launch site to safely launch their custom designed rockets. A one-week camp. Build a two ft rocket to complete a flight altitude challenge. Use Rocket Simulation software to model flight. Field trip to launch site. Showcase: Friday field trip to launch site in The Plains, VA from 10:00 a.m. – 2:00 p.m. Parents may attend by driving separately.